While receiving your girlfriend’s wedding invitation, you might feel excited and happy for your good friend’s big day, and might also nervous about how to opt a perfect dress for the upcoming wedding. Just relax, no matter you will jet off to the romantic beach, a fabulous city, or a scenic mountain resort for the anticipated nuptial, here we post some practical tips about the wedding destination dress for your best option. 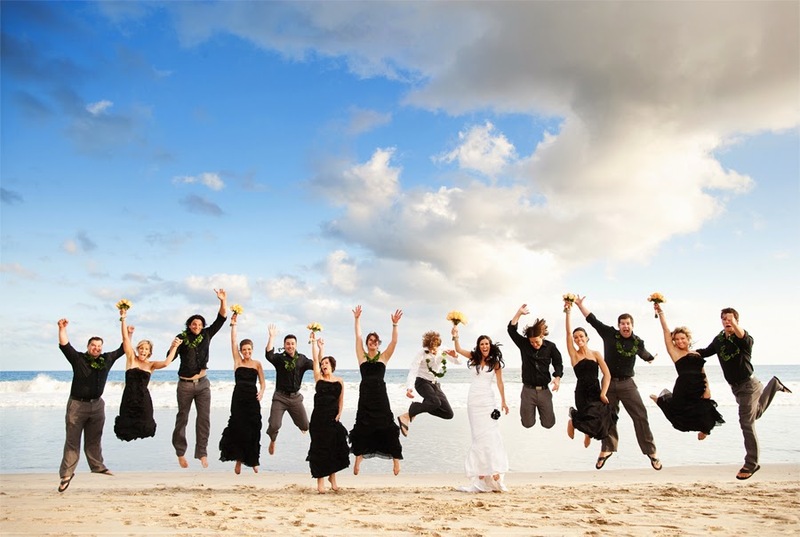 Among the most popular wedding destinations, beach is always the good choice for the wedding. The crashing waves, painting-like sunsets, and the fresh and slightly salty sea breeze make a perfect atmosphere for the whole wedding. When choosing your dress for beach nuptials, mind hot temperatures. Opt for short or mini hems, halter or strapless necklines, and airy chiffon to keep you happy and breezy. A shorter hemline will also make sand or water a non-issue! If you do want to dress in a long dress, pick flowy skirts that you can wear with sand-friendly flats or sandals. And, of course, colors like canary yellows, papaya pinks and watery blues will enhance the Surfside charm of any celebration. A city destination wedding will worry less about the weather than beach, since the most urban soirees take place indoors and therefore, more emphasis should be placed on the venue's vibe when choosing dresses. Sleek satin and shiny silks are ideal for modern, downtown weddings. Hemlines and sleeves are more flexible, based on your preference and the season. Sophisticated details like sequins, cap sleeves, and metallic belts help celebrate the glamour of a city wedding no matter the season. 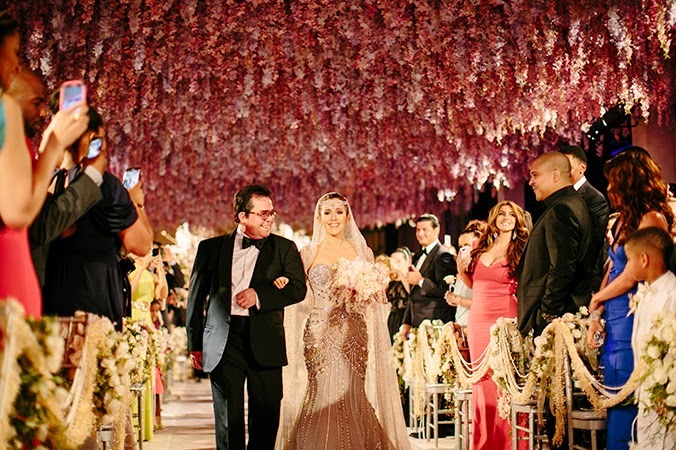 A garden wedding couldn’t be better for you, because it has less limits for your dress. Wherever the region, use your dresses to conjure up the idyllic setting of your outdoor venue. Flowery prints and lace are great, whether the hem is short or long, as are greens and pastels of any shade. Cotton is always a reliable fabric in case the weather looks iffy. Of course, the rustic, mountainside wedding is also the perfect opportunity to embrace rich, earthy tones in your dresses. If the mountain wedding is in the winter, the dress with long sleeves or a floor-length hem for some extra coverage must be the good choice. 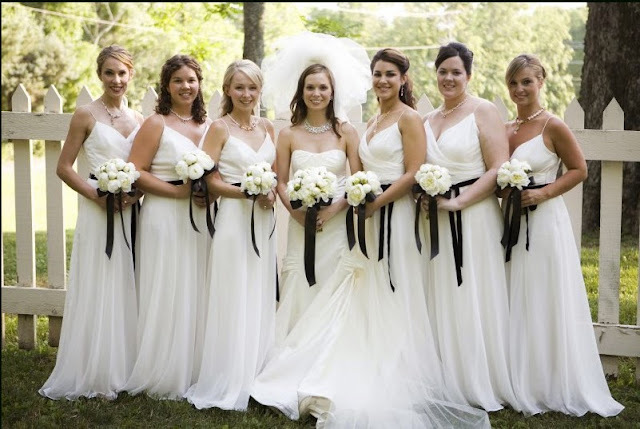 If it is a summer wedding, strapless dresses in forest greens, carpet reds, or chocolate browns, are a great way to mix it up. it's no surprise that vineyards are perennially popular wedding destinations. When choosing the dress for such a celebration, don't be afraid to go for Merlot reds or vine greens. Embellished shoulder straps, ladylike bows and lace details evoke the stunning scenery. Floor-length dresses are also a festive option if you take the party inside after "I do."